Are you finding your process of collecting event registrations complicated? Are you looking for a more affordable, easy way to sell tickets and other fundraising items online, along with credit card payments? Streamline your event registration process with MyEventRunner, the powerful new online registration product from ClubRunner. Powerful enough to handle your most complex conferences, yet so easy to setup you'll want to use it for even your most basic events. Available as a standalone product, or as part of your ClubRunner subscription. Available in Lite and Pro, MyEventRunner will handle your everyday events where you need to collect online payment without a paper trail. Want the added flexibility and features needed for a district conference or complex event? Upgrade to the Pro version for a preferred rate. Pre-integrated with ClubRunner's Online Payment & eCommerce Module, MyEventRunner makes it easy and cost effective for clubs, districts and zones to introduce payment by credit card for their events. How Can MyEventRunner Help You? 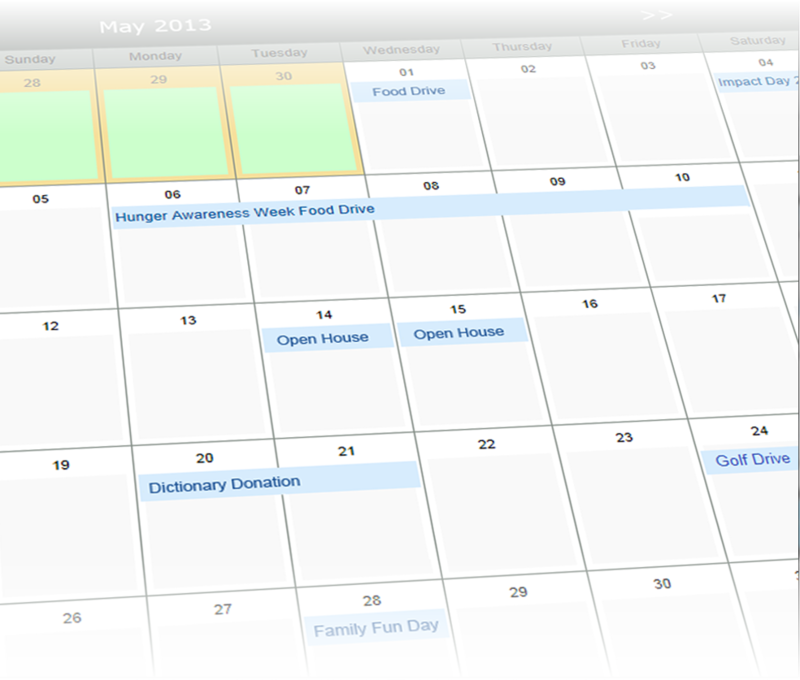 MyEventRunner allows event administrators to easily plan, create, promote and report on events electronically. Collect public registrations for your event and collect payment online seamlessly. Eliminate the need to prepare and process manual forms, which results in unnecessary mistakes and additional administrative work. Save countless hours of time and effort and make your next event a breeze with MyEventRunner. First, determine all the logistics of your event in order to decide what information needs to be on your registration form. If you have supplemental items available for event participants, no need to wait until they register to advertise these additional items. A feature can be added for ease of purchase power! 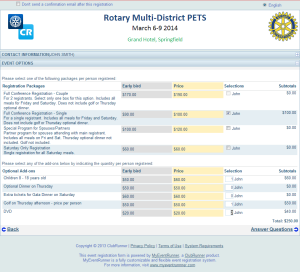 Use the integrated Shopping Cart feature to allow registrants to purchase extras (i.e. DVD's, T-shirts or special event tickets). Listed on your club or district site, members can easily find your event listing, register themselves and a guest. If your members have a ClubRunner login, their information will be automatically populated in the registration form allowing your members to save time! Available in two versions, Lite and Pro, MyEventRunner gives you the power to collect public registrations and payments for your events. Wondering what the differences between each version are? Check out the features comparison chart below to find out! For Clubs or Districts not subscribed with ClubRunner, please call or email us. *Languages supported can be found on the following page. Don't see your language supported? Contact us about our Multilingual program. **If your local currency is not listed in the currency list, contact our support team.